It can be challenging to find the perfect home for yourself and your family no matter what the market is like. And when you are buying a home in a seller’s market, this often is even more difficult. 2018 is projected to be a seller’s market for real estate, like 2017. You might feel as though you’re always running into pitfalls or coming up against stop signs since the control is in the seller’s hands rather than your own. What you need to succeed, however, is just motivation, reassurance, optimism, and the following 5 tips designed to help you navigate a seller’s market all the way to your dream home! Make sure that you are pre-qualified for a mortgage loan just as soon as you can. Securing a pre-qualified loan will make it known to sellers that you are a serious buyer and that you will be able to fulfill your end of the deal and close on the sale. This will bump you up to the next level and give you a bit more control over the situation than you would have without a pre-qualified loan in hand. When you’re buying a home in a seller’s market, you need to take all the necessary measures to prove that you’re truly in the game. When you get to the table, you’ll want to bring more than a pre-qualified mortgage—also bring a letter of approval from a lender and any other paperwork that shows proof of funds. Show the seller that you’re not all talk by providing the hard evidence. Don’t stand in your own way when trying to buy a new home by putting too many constraints on the real estate market. When you’re buying a home in a seller’s market, you’ve got to be flexible. Look beyond your boundaries, as this will make you aware of potential homes that you may have never considered. Your flexibility could also help with the home buying process itself. Be willing to compromise on a property that meets many of your preferences. You may need to give up something on your list of desired features in a home in order to find a place to live that’s within other boundaries you’ve set. Timing is everything when the market is dry and you have a multitude of buyers to contend with. You’ll want to be available to communicate with sellers and ready to move on an offer at any time. Respond quickly to requests and follow up for updates if you haven’t gotten any news. Communication is key; if you’ve built up a rapport with the seller, you’re more likely to be the one to get the home you desire. The unfortunate truth is that a dry market leaves you with very little power, so don’t try playing hard to get. Don’t add too many contingencies to your contract and make your best offer. If the seller counters, try to negotiate little by little, and you may just end up with the home of your dreams! 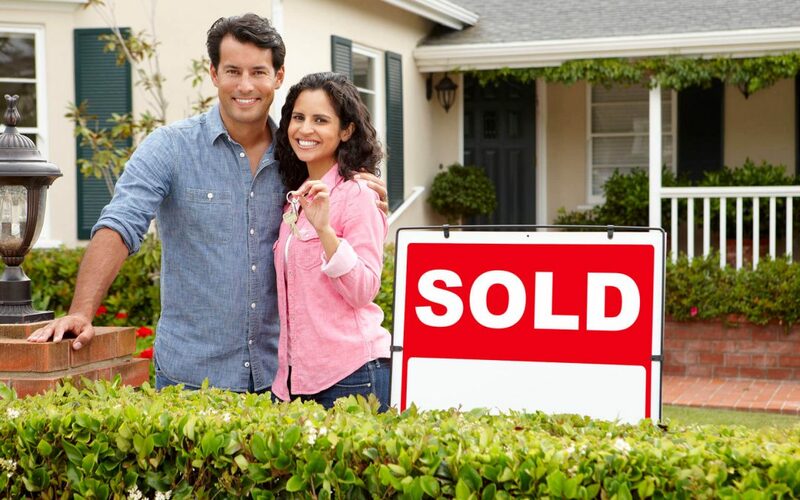 Read this article for a “Cheat Sheet” for buying a home in a seller’s market.